We just wrapped up our Collide Chattanooga 2013 Conference at our church. This was a youth meeting that brought powerful worship and ministry to the auditorium at Abba’s House, and featured Damon Thompson, Dutch Sheets, Chris Brooks, Ronnie Phillips Jr., Rick Pino, Eddie James, Abby Brown, and more. There was restoration, healing miracles, deliverance, and the overwhelming Presence of God. With nearly 2,000 youth and adults gathered together, hungry for the presence of God, the atmosphere was electric. On the last afternoon of the conference, they took the crowd out to the TN River and had a mass baptism. Hundreds of young people and adults stepped into the water, and made a public statement that they were “burying the old man”, and going on with God in freedom. It was an awe-inspiring site as hundreds gathered on the banks, dozens were baptized at once, and even boaters stopped just outside of the “swimming area” where the baptism was taking place, just to watch. The audience laughed as he continued. What a great analogy! In Matthew 4:19, Jesus commands His disciples to “Follow Me, and I will make you fishers of men.” Any good fisherman is going to get his hands dirty. Any good fisherman is going to get scrapes, cuts, and bruises. A good fisherman knows going into it that, in order to be successful, it’s going to require having “skin in the game”. Fish are unpredictable. Fish are sometimes slippery and hard to handle. They have scales and fins that are slippery and sometimes sharp. However, any good fisherman knows that catching fish means embracing the task, and that in most cases, the fish that is hardest to land is usually the one most worth having. The more fish a fisherman hauls in, the more he is going to smell like that catch. As fishers of men, that should be us. If we are going to win the lost, we must follow the example of Jesus, and be willing to get our hands dirty. Sometimes the people we witness to are skeptical and hard-hearted. Still, we must be diligent in our witness, fervent in prayer, and committed to the task, regardless of the squalls, storms, and hardships along the way. Just wanted to take a moment to say one final word of thanks to everyone who participated in and attended (both in person and online) this year’s Fresh Oil New Wine Conference. After 15 years, it was stronger than ever, and the Presence of God showed up night after night, session after session. More than 200 people testified to the healing touch they received during the services. Manifestations of healings were happening right before our eyes. 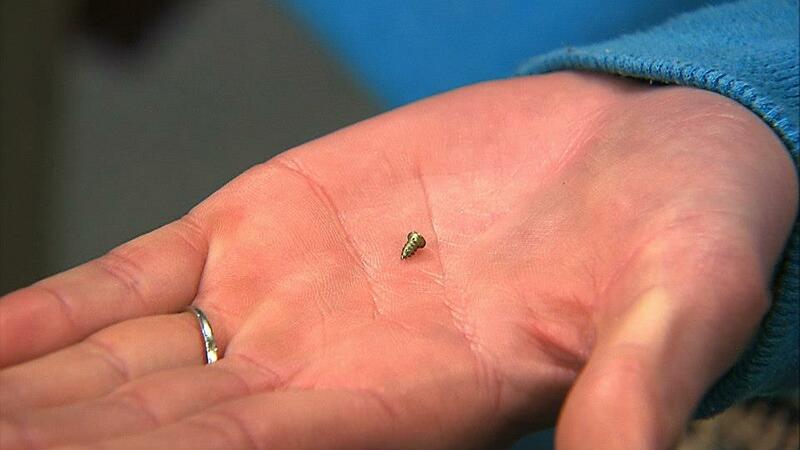 One young lady who had a metal screw that had been left in after surgery came forward to testify of her healing. During one of the services, the screw literally fell out of her flesh! I could go on and on… it was truly a time of miracles, signs, & wonders. If you would like to experience the wonderful teaching for yourself, the entire conference is available on CD or DVD. With a lineup like Randy Clark, Walter Hallam, Perry Stone, Ronnie Phillips, Jr., Rabbi Curt Landry, Dwain Miller, and myself, you’ll get hours of miracle-releasing teaching and encouragement. Click here to find out how you can order this set. After such a wonderful experience, some would say, “It”s time to take a little break, recover, and regroup”. On Sunday, April 14, our choir will combine with the Bayside Baptist Church choir to present “Savior”. This will be a wonderful night of worship. It will begin at 6:00p.m., and admission is FREE! One week later, on April 21, Christian recording artist Third Day will be in concert at Abba’s House. This is a ticketed event, and will begin at 6:00p.m. Go here for ticket information. If you have a student in your life that needs to be on a collision-course with the Holy Spirit, then Collide is the event for them! Featuring the ministries of Damon Thompson, Chris Brooks, Ronnie Phillips, Jr., and more, Collide will happen on April 19-20. Click here for more info. Collide Encounter Weekend will happen July 11-13. Damon Thompson will return, and be joined by Dutch Sheets, Rick Pino, Eddie James, Chris Brooks, and Ronnie Phillips, Jr. I will also be bringing the word during the event, and would love to see you there. Register on-line. All-American Day. Unique and powerful revelation will be poured out by Evangelist Prophet Dr. Randy Caldwell. Also, if you love Patriotic music, we’ll have a wonderful selection of that as well! Big doesn’t begin to describe it! This will be the BIGGEST “BIG EVENT” EVER for Ron Phillips Ministries!! !